﻿ Dry Type (Crt) | Telawne Power Equipments Pvt. 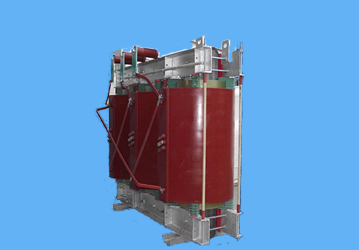 Ltd.
At TELAWNE casting method of these transformers is obtained with the combined action of vacuum and temperature. The casting method makes it possible to assure void-free epoxy penetration of both the inner layer and between turn insulation.These Transformers are specifically needed in distribution network for feeding basements or stilts of high-rise buildings, hotels, Malls, stadium, air ports, chemical & refinery plants. Following are the dimensional, weight & quantity details along with standard losses for conventional 11KV, Dry Type (VPI) Transformer (off circuit Type). Windings are electrically balanced to minimize axial short circuit forces. Coils are held rigidly in place between insulators clamped to the upper and lower core frames under high compression. Precise casting under vacuum ensuring low partial discharge. Smooth surface finish and robust construction of MV & LV cast Coils. Adequate ducts between coils, discs for maximum air flow and reduced hot spot temperature. Step-lap designed CRGO laminations for lower losses and excitation current.